We are so very very happy and honored to share with you this news: Senator Kelly Ayotte has agreed ‪#‎AnnasLaw‬ in the Senate. Senator Ayotte's commitment to ‪#‎mentalhealth‬ is just one of the reasons we are so proud to have her as our Republican lead. ‪#‎SenatorAyotte‬ has introduced or cosponsored several bills that seek to strengthen our nation's mental health system, including The Mental Health First Aid Act (S. 153) which would provide support for training programs to help the public identify, understand, and address crisis situations safely. In addition, #SenatorAyotte cosponsored the Mental Health Awareness and Improvement Act, which included modified provisions of the Mental Health First Aid Act and the Garrett Lee Smith Memorial Act, as well as other important mental health initiatives. When the bill came before the Senate as an amendment, it was approved by a vote of 95-2! 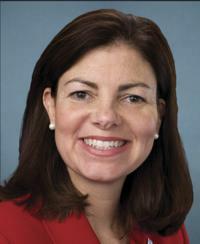 #SenatorAyotte was a cosponsor of the Caring for America's Heroes Act (S. 2276). The Caring for America's Heroes Act sought to improve mental health care for military dependents and retirees. This bill removed inpatient day-limits to promote access to medically necessary and appropriate mental health services, helping to ensure that military dependents and retirees covered under TRICARE are treated in the same manner for inpatient mental health services as they would be for treatment of physical injuries. This is a bill that EDC advocates have worked to proudly support, as well. For her leadership on mental health legislation, the Senator has been honored by the American Foundation for Suicide Prevention and the National Council for Behavioral Health.